We found TapeKings on Instagram a few months back. 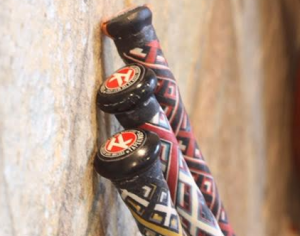 They claimed to take your existing bat and put a custom bat grip made from slices of hockey tape. That doesn’t sound nearly as cool as the pictures on their Instagram account—which is wildly popular. But it works visually very well. After a number of e-mails and a few phone calls, JustBatReviews sent TapeKings a few bats to trick out with new bat grips. 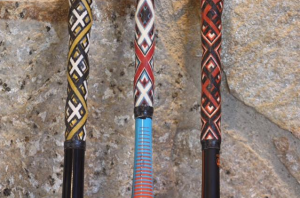 It spawned this TapeKings Bat Grip review article. Hesitation #1: Is It a Scam? Sending nearly $1,000 worth of bats across the country to a popular Instagram account didn’t feel like the smartest thing we’ve ever done. Indeed, we had no guarantee our bats would come back. As we thought through this, there really would be no way to guarantee it. Unless we wanted to buy a plane ticket to Indiana where TapeKing’s claims to be located. But, the time and money that would require was not worth it. We did find the YouTube video of the local newscast about TapeKings that helped our confidence. As well, we could find a cell phone number and address on the TapeKings website were someone actually answered. Regardless, scams have occurred with far more of a setup. Yet despite those reservations, we sent our bats via USPS with tracking to TapeKings HQ. The good news for the reader of this review, we can confirm the bats did come back and are exactly as we hoped. TapeKings was responsive—although going through a move at the time. For Justbatreviews we can confirm that TapeKings is a real place, with real people that really sent us our bats back. Now, if this is part of their elaborate scheme to convince you to send in your $450 DeMarini CF Zen we’ll let you decide. But it worked for us and we plan on sending more bats soon enough. Hesitation #2: Is It Worth the Price? $10 for a tricked out bat grip is a steal. $10 is the cost of a non-custom stock lizard skin grip and a handmade custom grip should, and could, cost more. That said, the hard part of the model is the shipping. As the buyer pays for shipping to and fro the $10 grip just became, depending on where you live, a $30+ grip. $30 prices many out of the market. 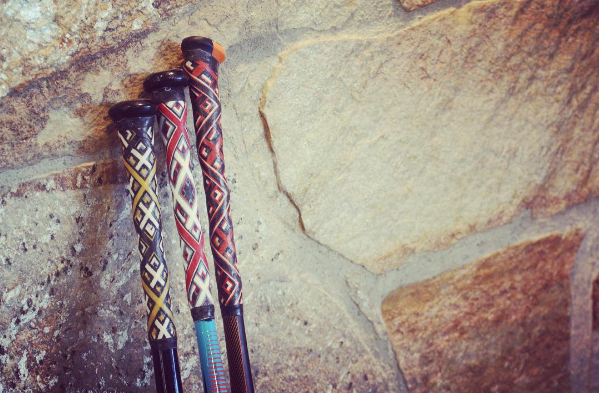 We wished TapeKings were an add on service for a bat vendor like many are doing with Lizard Skin Grip’s these days. Where, we could guess, we might add $10 or $15 to our purchase and get the bat shipped to us brand new with the custom design. This would also solve the hesitation we felt about sending our current bats in to get tricked out. While the turn around time is usually less than 10 days, it means we are without our bat for 10 days. If it is mid-season then that is a lot of ball games. The bat grips look better in real life then they do on Instagram. The resin on the bats make them game useful—not just image useful. For a $30 round trip fee (unless you live close) we suspect many would be very happy with the service. The grips feel great, look amazing and personalize the bat in a remarkably unique manner. Check out TapeKing’s website and their Instagram account. Of course some YouTube is always a good place to start with this stuff. Check out our box opening here and a newscast a local news company did on TapeKings.